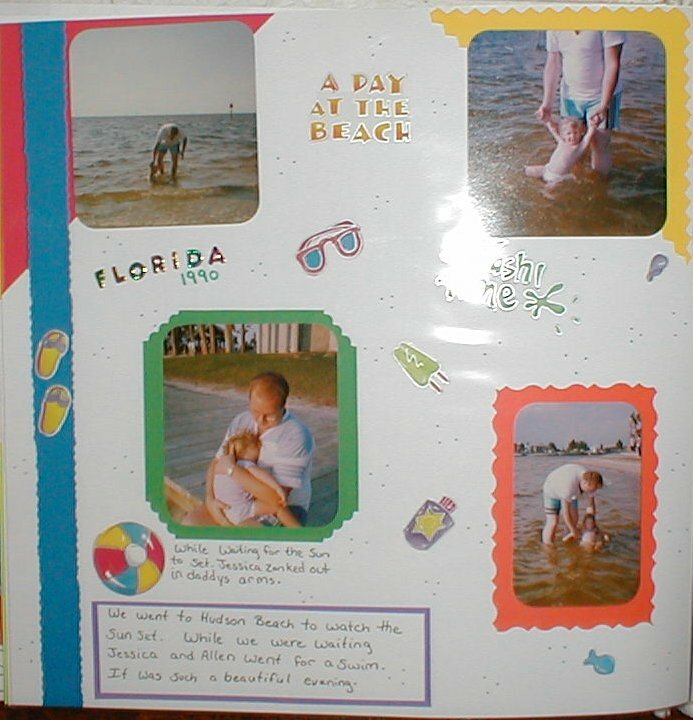 Here are photos taken when we were at the beach in Florida. As you can see I'm starting to journal more. I really do believe it adds to the page. I used beach stickers and again added my Dots for added color. If you are wondering how I was able to get the fantasy boarder around my photos I used scissors that are used for decorative edging. I have also found it to be very important to add the date to the page so you know when the event took place.